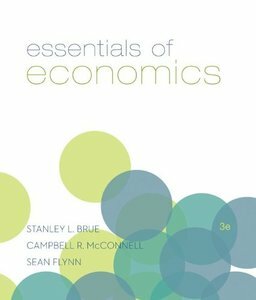 Stanley L. Bruce, Campbell R. McConnell, Sean M. Flynn, "Essentials of Economics, 3rd Edition"
Building on the tremendous success of their best-selling Economics, Brue, McConnell, and Flynn have revised their one-semester approach in Essentials of Economics, 3e to provide a fresh alternative for the survey course. The result is a patient, substantive treatment of micro and macro topics appropriate for the introductory economics student, and fully integrated in the digital environment to provide instant remediation and feedback through McGraw-Hill’s innovative assessment tool Connect Plus Economics. Adaptive learning component, LearnSmart, provides assignable modules that help students master core concepts in the course.